Data is pivotal in all marketing campaigns. Companies that leverage data are able to better understand their customers. 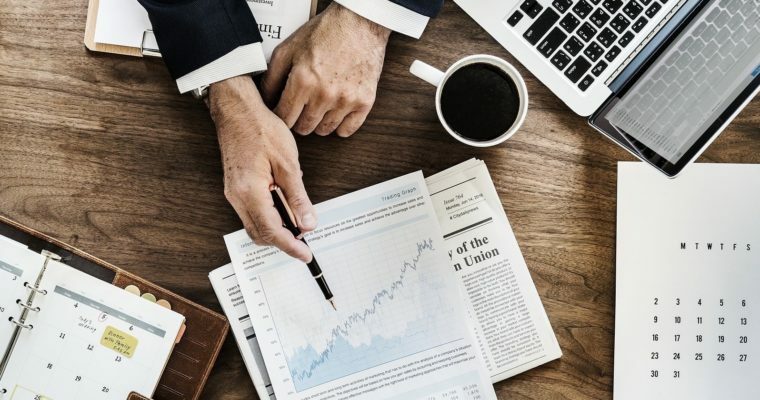 Data-driven marketing results in greater customer loyalty, customer engagement, and increases in the number of customers. However, we mostly use data to inform SEO, PPC, or social campaigns. These areas of marketing are clearly data-driven. But, there’s no reason we can’t use data to create better blog content, too. The trouble is, most people see content marketing as a creative endeavor. This is certainly true as content needs to be engaging for readers. Yet, we also use content marketing to get results (i.e., generate leads or sales). To get the highest impact results in content marketing, we have to use a data-driven approach. So, here’s how to use data collected from Google Analytics to find content ideas that garner results. Naturally, you want to create content that performs well every time. To do this, you need to look at your existing content to determine your top performing posts. By looking at Google Analytics, you can discover which pieces of content are verifiably the best. Not just the pieces that you think performed well. You can see which topics and content frameworks worked best for your site in terms of page views. Your first port of call should be the All Pages section in Analytics. You’ll find this under Behavior > Site Content > All Pages. Within this section, you will also see primary and secondary dimension data you can filter to get a more detailed view of your content. For instance, you can sort page views by source, average time spent on page, page value, bounce rate, and so on. Once you discover the answers to these questions, you can optimize titles for any new posts to get the results you desire. Another filter that will help you a great deal is the comparison view. When analyzing data, don’t forget to take out any outlying factors. For instance, if a post contains video, they may spend more time on that page. 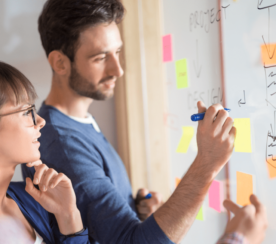 Now you know which titles work best for you and which topics resonate with visitors, it’s easy to come up with content ideas that are likely to work well. In the above example, a blog post about B2B marketing ideas performs really well. The owner of the site could then dig a little deeper into the topic because they know that subject engages visitors. An interesting variation on that topic might be a case study on B2B marketing. The trick is to seek out your best content using the data you have on hand and create variations on the topic. Or use titles/types of content that perform well for you and recreate those using a new topic. Or combine both elements. Content and SEO go together like tea and biscuits. Essentially, content is vital for ranking well in the SERPs due to Google’s ever-changing search algorithms. Google needs to see the high value, quality content to better answer search queries. That’s why on-page content is considered the number one, most effective SEO tactic. You can come up with some content ideas easily by gathering some low-hanging SEO fruit. If you have a search bar on your site, you can find the keywords people are looking for when they visit your site. 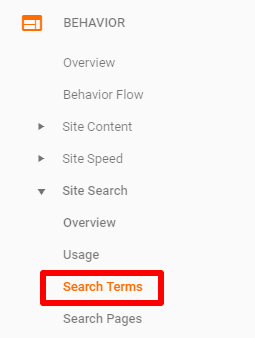 In Google Analytics, go to Behavior > Site Search > Search Terms to locate these keywords. Not only will this report help you improve the navigation of your site, but it can also help you find gaps in your content. In other words, search terms related to your site that people are looking for, but you don’t yet have a page for. When it comes to finding keywords for blog posts, you should be more interested in getting into the heads of your site visitors than looking at Google Ads’ Keyword Planner. The Search Terms report gives you a much better idea of what your visitors are actually searching for. Once you have your highly relevant search terms, you should get to creating posts that will help you dominate that topic. Or improve on existing content to include those terms. You can’t bag every visitor that comes to your site. Some bounce quicker than you can say outdated content. And that right there might be the problem. Your content is no longer relevant and is in need of a refresh. The results could be substantial. Marketer Christopher S. Penn found that by refreshing his existing content, he was able to increase search traffic to his site by over 40 percent. To achieve such results, you’ll need to work out where visitors are leaking out of your site. In Analytics, head to Behavior > Site Content > All Pages and choose Source / Medium in the Secondary dimension box. Sort the results by Unique Pageviews or Unique Visits to see how many new visitors your blog posts acquire. This will show you whether those new visitors are actually reading your content and sticking around. Posts that have a high number of unique views, as well as a high bounce rate, need updating. 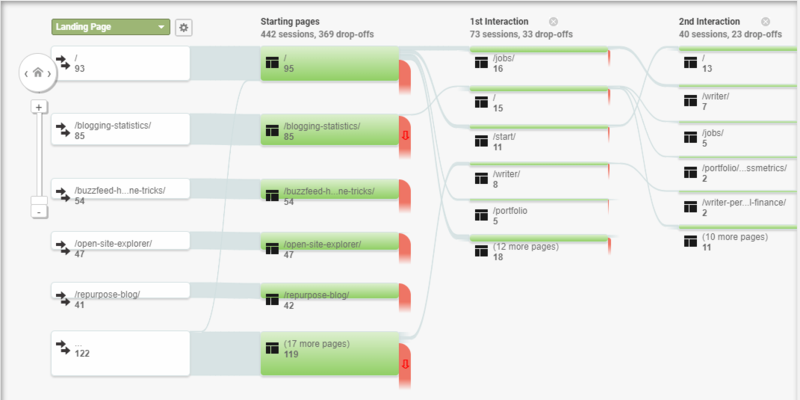 Another report that will help you determine whether visitors are engaging with your posts is the Behavior Flow Report. This report will show you how visitors interact with your site after they have read your content. And thus, if the content is encouraging visitors to convert. For example, are they reading your post then visiting the contact page to get in touch with you? If not, the content needs a refresh. This is where your content ideas lie. You may have noticed that a lot of top blogs are now doing this. The state of many industries, like marketing in the above example, continually changes, so it makes sense to update content with new information for the new year. Alternatively, you can add fresh images or create a video or infographic to go along with the content. Add new relevant internal and external links. Or even create new lead magnets to compliment the posts. All in all, Google Analytics can help you find stagnant pieces of content. Recycling blog posts are now commonplace. It’s a good idea to get in on that trend and turn your old posts into new, polished ones. Your content needs to serve your audience. As mentioned above, Google wants you to provide value to visitors. That’s how your content is going to rank well in the SERPs. To this purpose, it pays to know the intent behind the keywords people search for. In other words, if the keywords in your content match the intent of visitors, they’re more likely to find your posts useful. To discover the intent of users visiting your site, you’ll want to view your Search Queries report. 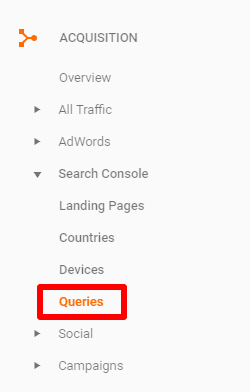 Find this via Acquisition > Search Console > Queries. Your search queries report should contain the right type of keywords for your business. If you own an ecommerce store, for instance, you’ll want the majority of keywords to be investigational or transactional. But if you find that most of the queries that bring visitors to your site are informational, it’s of no use to you. They may find answers to their questions in your blog then simply leave. 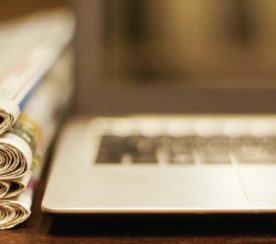 If you wanted to go after investigational keywords instead, then you might create content that’s somewhere in between informational and transactional. Keywords that include “vs.,” “reviews,” “comparison,” and so on fit the investigational bracket. And the corresponding content serves users at that almost-ready-to-buy stage. So, to optimize your content for keyword intent, you should come up with content ideas focusing on the right set of keywords. Be strategic about the content you create. If you provide material that better serves users, you have a better chance of ranking over time. Plus, you will get qualified traffic. The best content is both creative and data-driven. Use Google Analytics to optimize content and get high impact results. Analyze the performance of your existing content. If certain topics or titles have worked well for you in the past, then similar posts are likely to work well for you in the future. 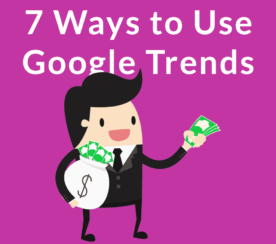 Find the exact search terms that people are looking for when they visit your site. Snap up these keywords to create highly relevant content for your audience. Find out exactly where visitors are leaking out of your site. This means you can find content in need of an update that will get people to stick around longer. Discover the intent behind the keywords that bring users to your site. If they don’t correlate to your business goals, then create content focused on keywords that do. You may already be well-versed in using analytics for SEO purposes. Now, it’s time to explore how analytics can help you create next-level content for your site.